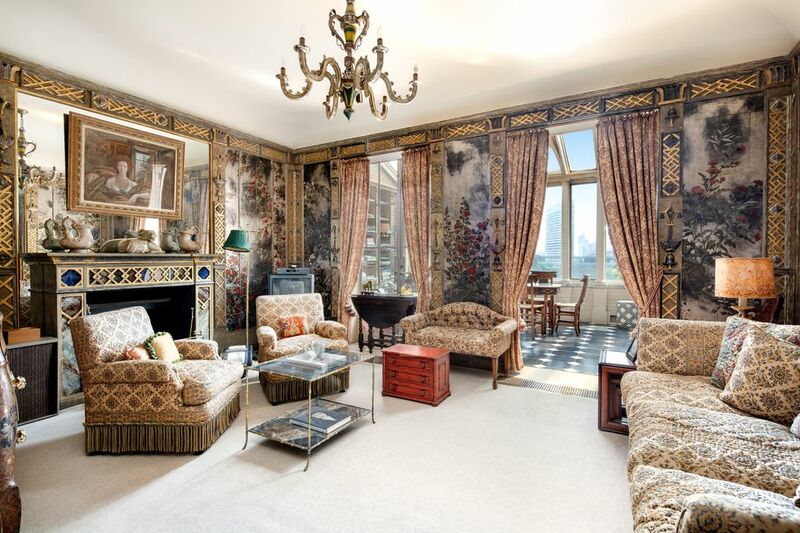 1 Sutton Place, New York, NY 10022 | Sotheby's International Realty, Inc.
$18,500,000 6 Bedrooms*6 Full / 2 Partial Baths7,000 sq. 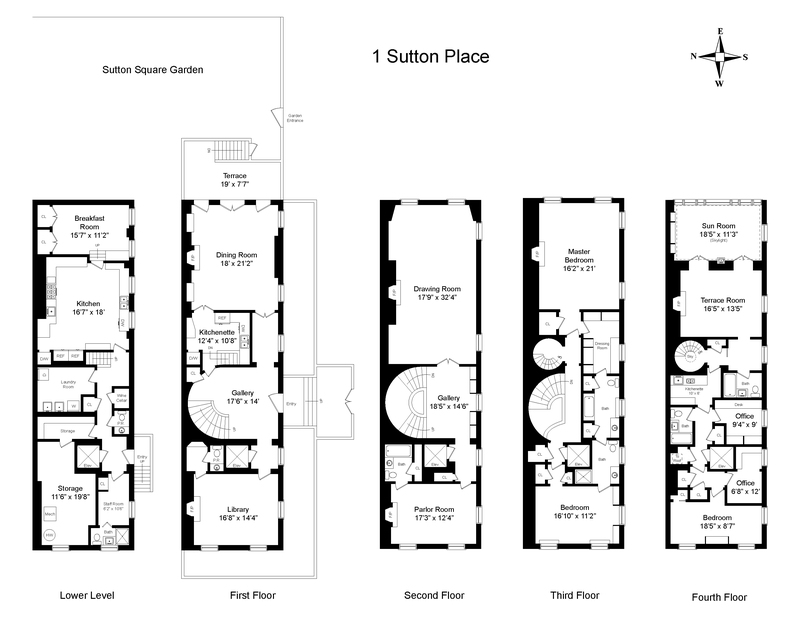 ft.
One Sutton Place is a grand scale 20 x 70 brick Georgian town home designed in 1920 by Mott Schmidt for Anne Vanderbilt (Mrs. William Vanderbilt). 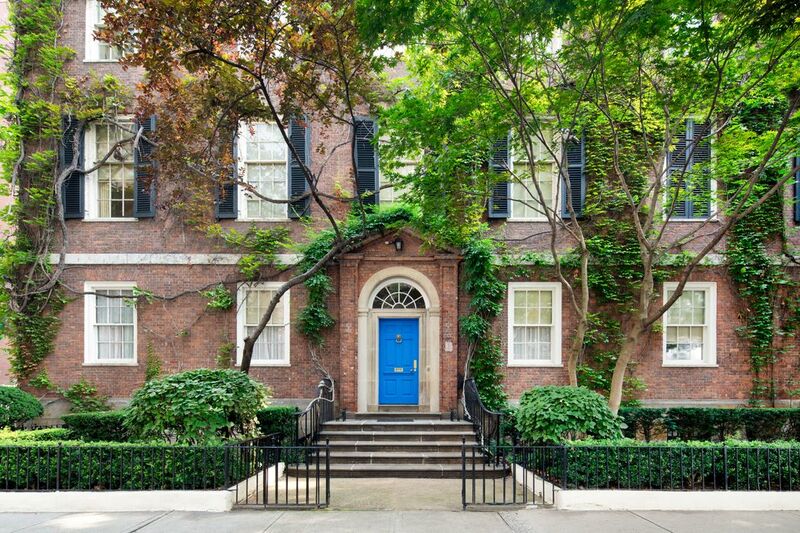 The house sits on the North East corner of 57th and Sutton Place and with it famous blue door has direct water views from all major rooms. 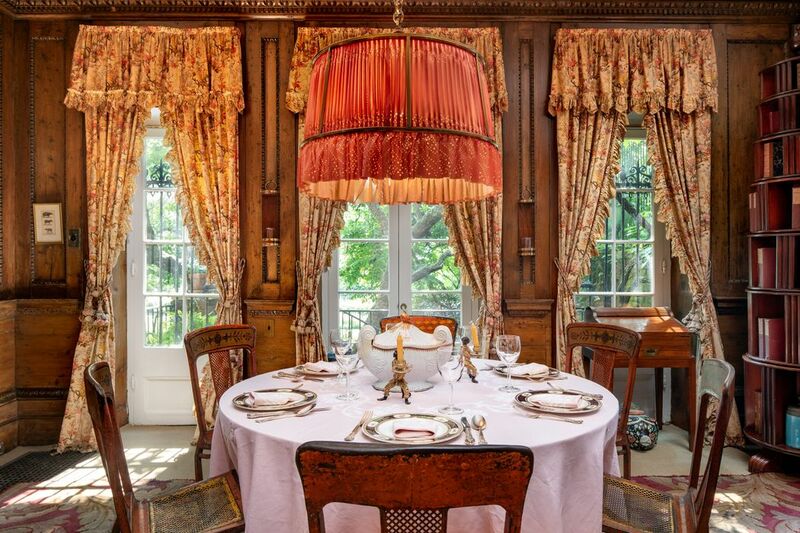 A gracious entrance hall leads to a 21-ft dining room with long French doors that open onto a terrace and fabulous garden. 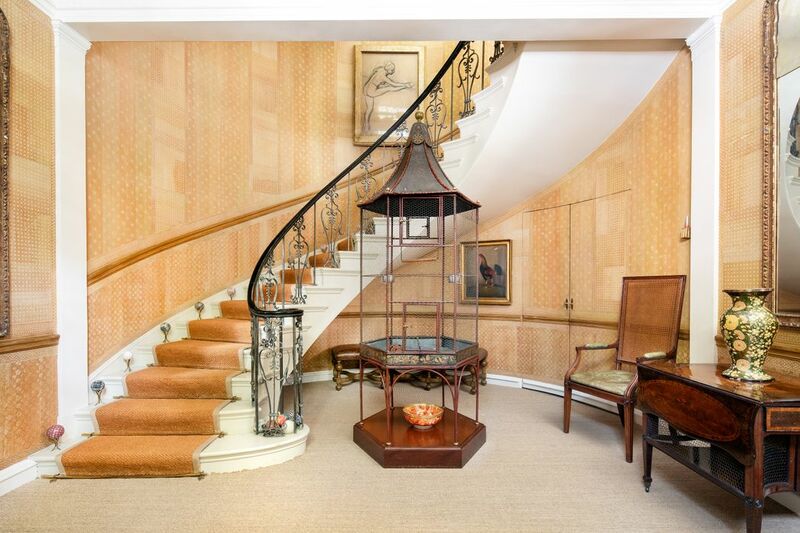 A sweeping staircase leads to a wide landing and a 32-ft drawing room with long windows overlooking the garden. 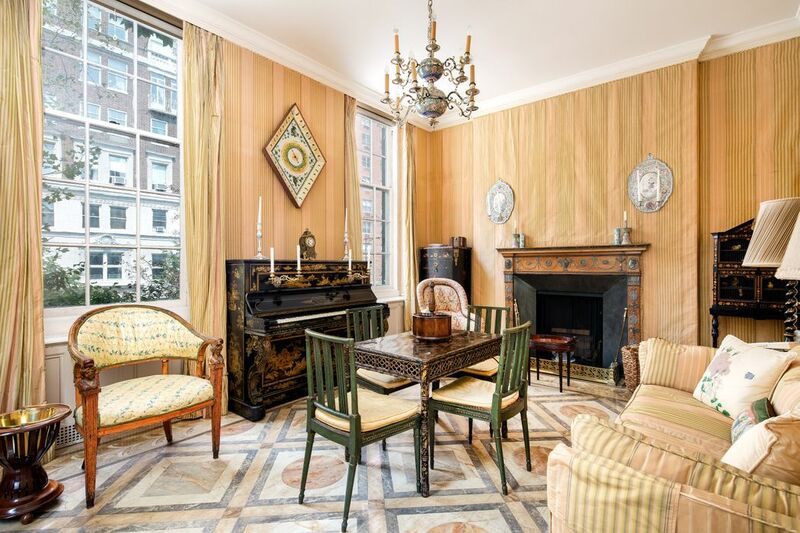 A parlor room and bath are facing Sutton Place. 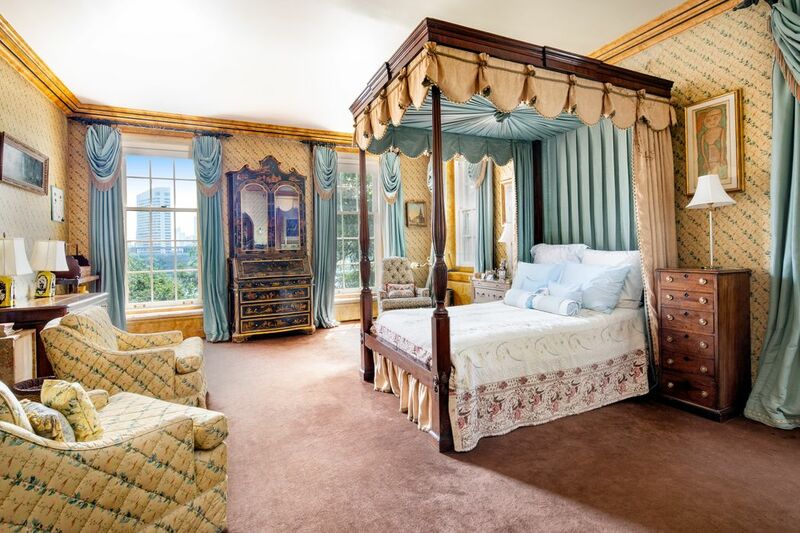 On the third floor there is a magnificent master bedroom that has beautiful views of the water and garden. Adjacent is a large white marble master bath with custom closets, a dressing area 2 sinks a soaking tub and separate stall shower. 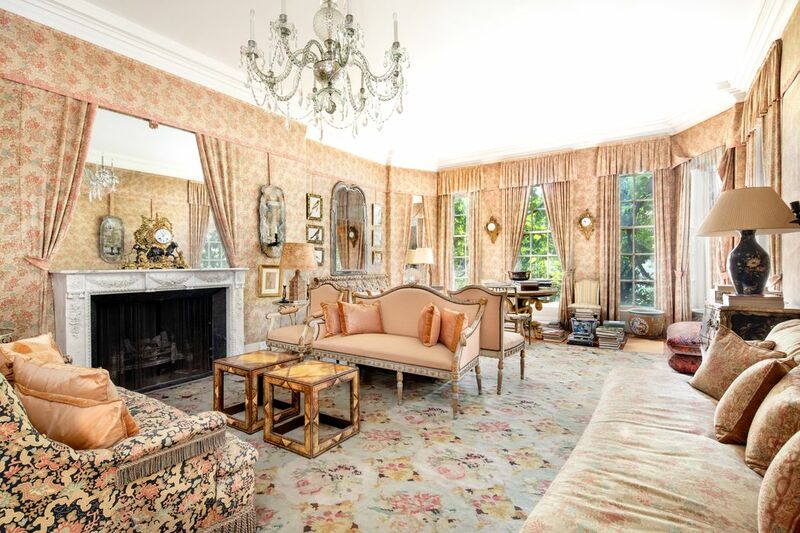 An additional bedroom is also on this floor. 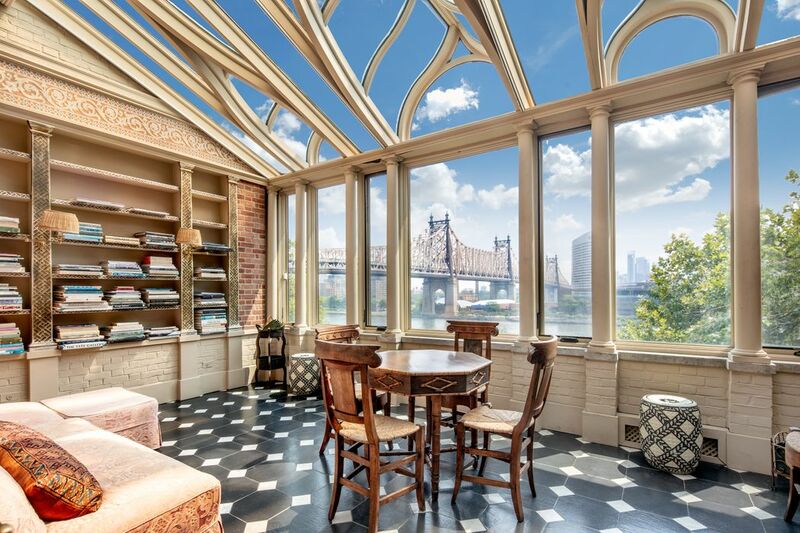 The fourth floor stairs leads to a terrace room that opens to a sun room with glass a ceiling and walls with magical views of manicured lawns, river and the 59th Street Bridge and beyond. 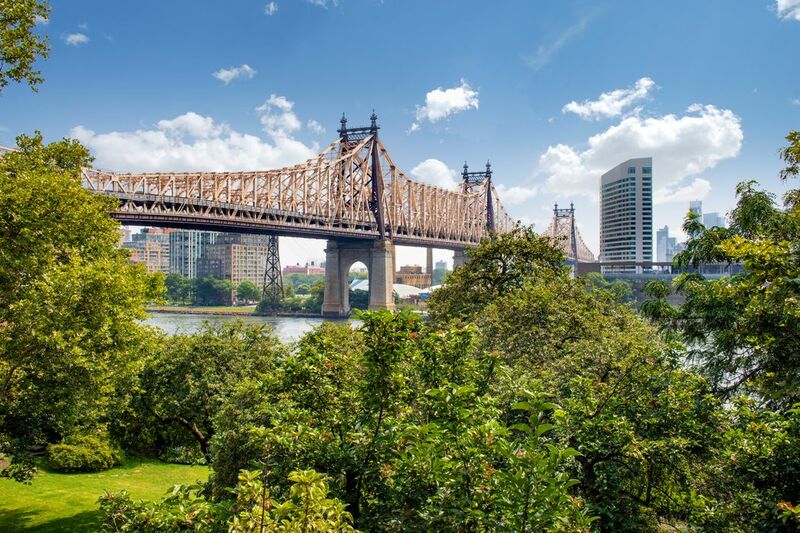 This home has 6 fireplaces, 6 baths and 2 half baths, a huge eat-in chef’s kitchen and breakfast room, staff rooms and an elevator that accesses all floors. 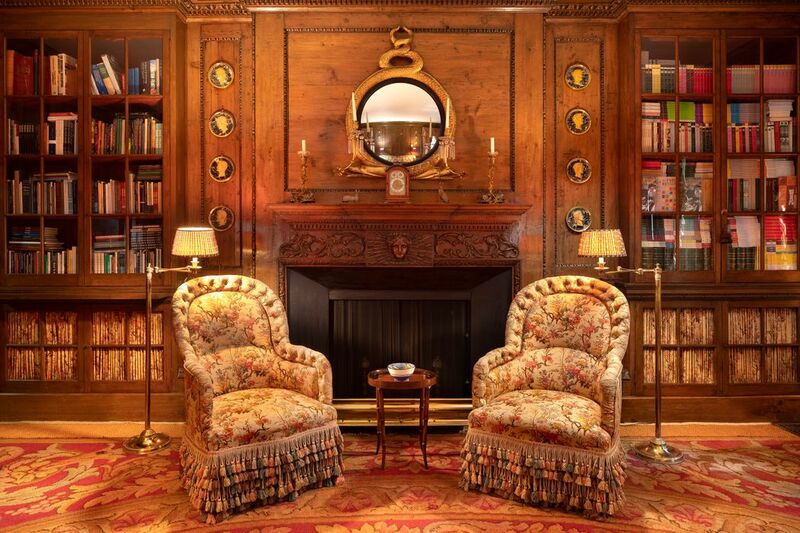 The legacy of this house is amazing and the pedigree of its neighbors attest to its luxurious surroundings. 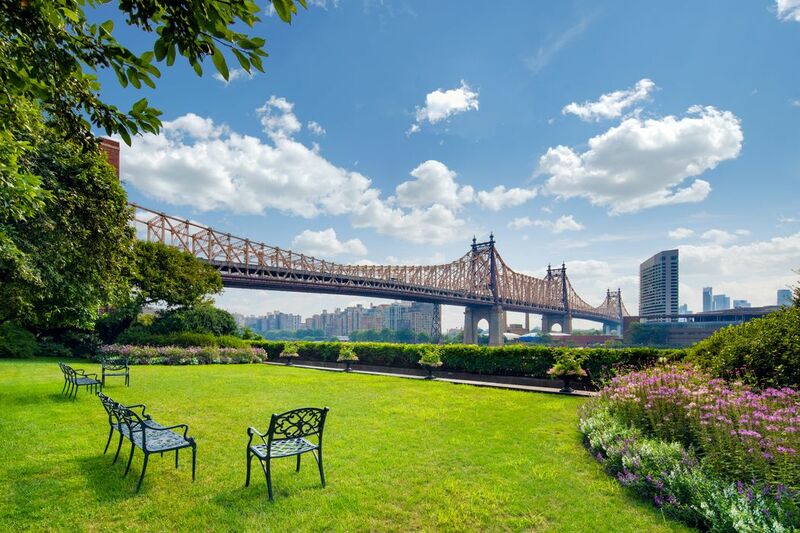 Sutton Place is the ultimate residential area and yet is not far from Whole Foods, Restaurants and convenience stores. 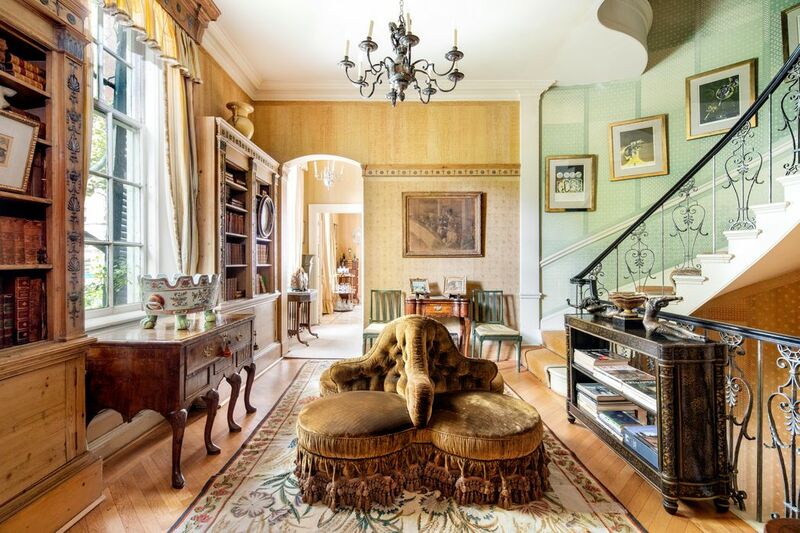 This is a dream home with unbelievable outside space and the convenience of The Sutton Square Garden Association who cares for the upkeeps of the grounds. 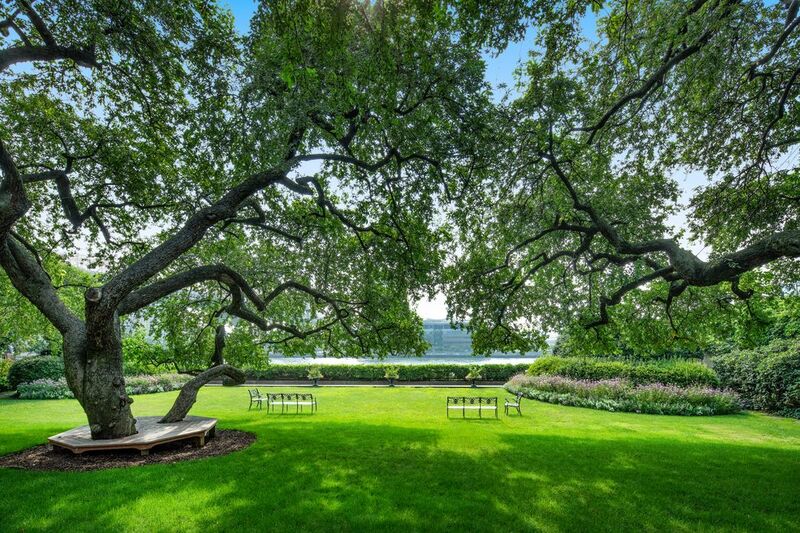 This is a dream home with unbelievable outdoor space maintained by the assessments paid to Sutton Square Inc. 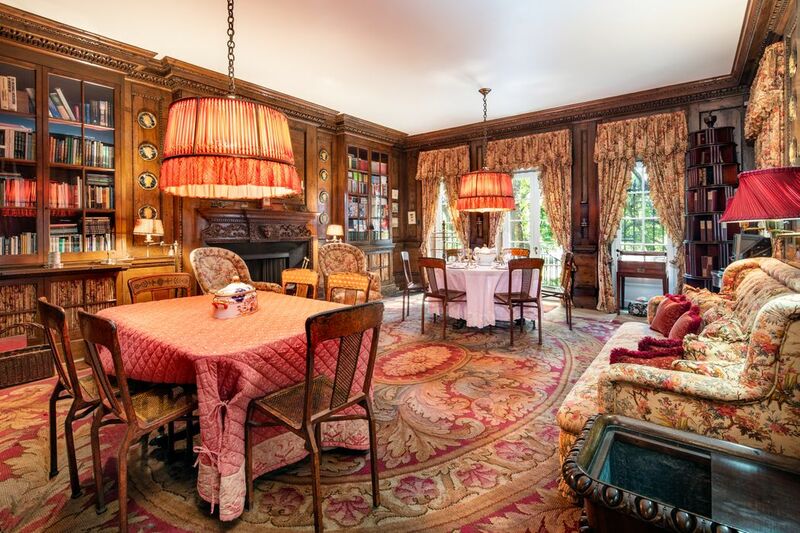 Yahoo!, "The 1920s Vanderbilt NYC Mansion Is for Sale"
Elle Decor, "Heinz Heiress Lists Sutton Place Townhouse for $21 Million"
Architectural Digest, "The Heinz Heiress’s 7,000-Square-Foot Sutton Place Townhouse Up for Sale"
Town + Country, "Heinz Heiress Lists Sutton Place Townhouse for $21 Million"
The Real Deal, "Heinz Heiress’ Sutton Place Home Hits the Market for $21M"
6 Sq Ft, "Sutton Place Townhouse Designed for Anne Vanderbilt Asks $21M"
Curbed New York, "Ornate Sutton Place Townhouse with Heinz Family Ties Asks $21M"
The Wall Street Journal, "Estate of Heinz Heiress Lists Sutton Place Townhouse for $21 Million"
Mansion Global, "Estate of Heinz Heiress Lists Sutton Place Townhouse for $21 Million"